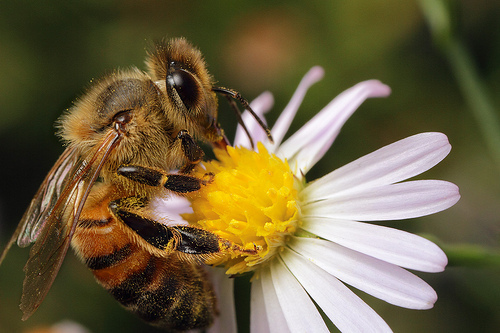 Managed honey bees contribute directly to local food production and make an important contribution, through pollination, to crop production and maintenance of a healthy environment. The Department implements legislation relating to the health and welfare of bees. Work includes an annual survey for notifiable diseases and checks on imports. The team is responsible for the supervision of control and elimination of disease outbreaks. The Bees (Northern Ireland) Order 1980 and other Orders made under it, ensure, as far as possible, that the spread of serious endemic bee diseases and the introduction of exotic bee pests is minimised. The strategy for the sustainability of the honey bee was published in February 2011 and aims to achieve a sustainable and healthy population of honey bees for both pollination and honey production in the north of Ireland through strengthened partnership working between Government and stakeholders. The Strategy confirms DAERA's ongoing commitment to help protect and improve the health of honey bees and support the sector in its effects to sustain and support beekeeping in Northern Ireland. An implementation group has been set up to achieve the recommendations and proposed actions of the Strategy and four Sub-groups have been set up to address the Strategy's four key outcomes.